This is clearly the “common date” among early quarter eagles. 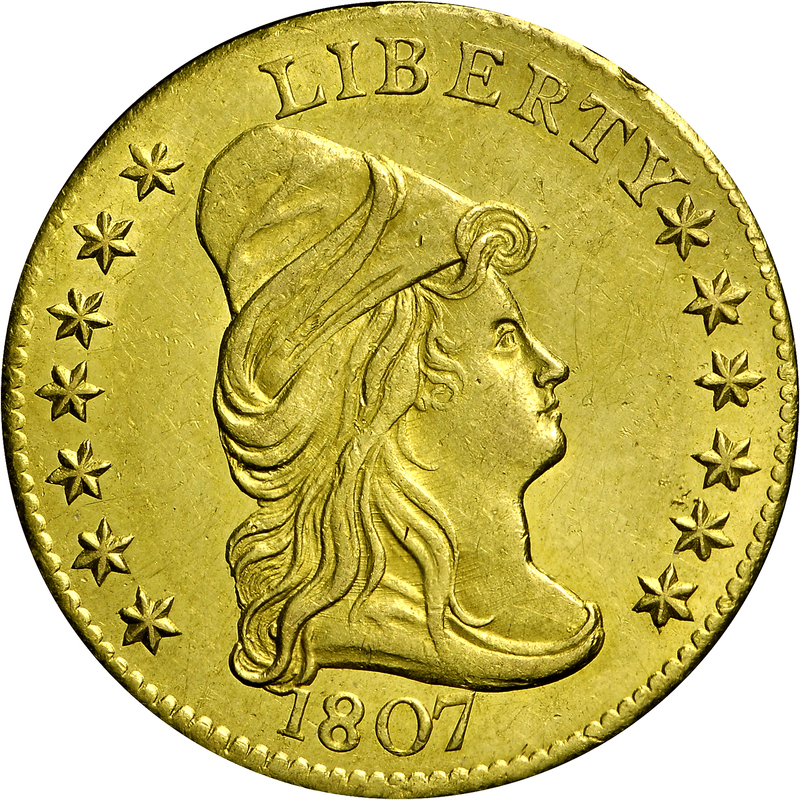 Mintage had swelled to an impressive 6,812 coins, over one-third the entire quarter eagle mintage from 1796 to 1807. Nearly 200 examples still survive today. 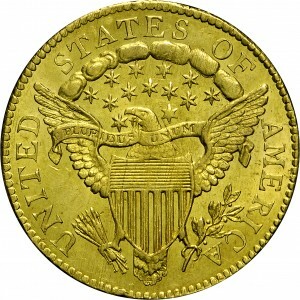 In most other series, this mintage and survival would qualify the issue as an important rarity. This high quality example is from a very early die state. 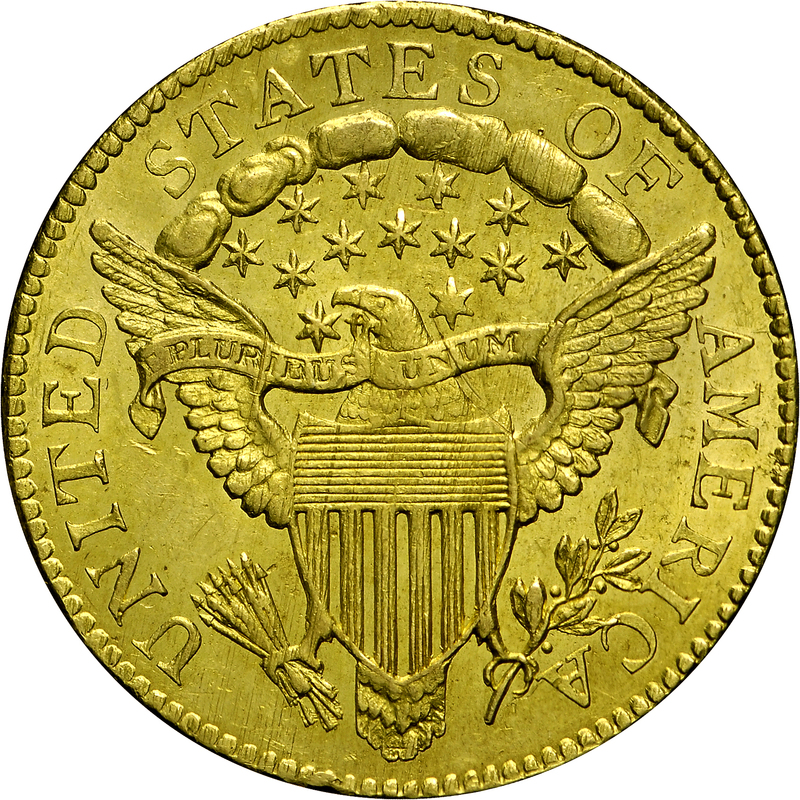 The reverse die had already been used for the entire mintage of 1805 and both varieties of 1806, and would later be continue in service to produce 165,000 dimes bearing this date, resulting in extensive die wear. Purchased from Stanley Kesselman, December 1, 1975.